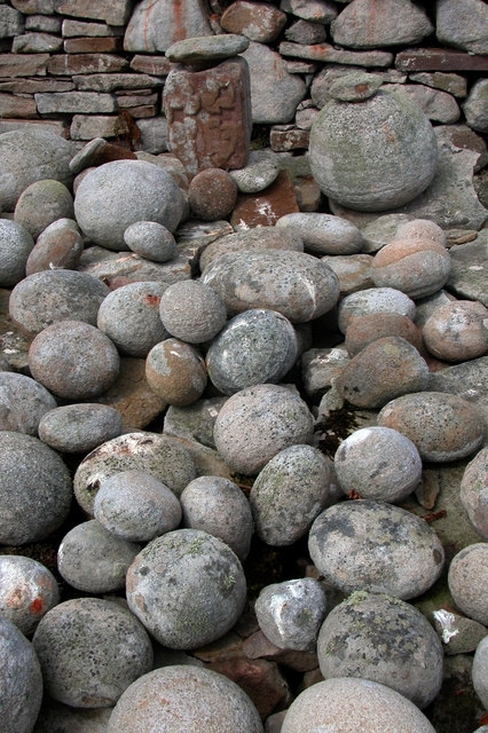 Stories of cursing stones in Innishmurray in Co. Sligo and Kilcummin in Co. Mayo amongst others. These stones were seen as cursed and there were many superstitions around them. They were used to curse enemies and there was opposition from clergy. The Kilcummin stones were removed by a priest to Ballina Cathedral. Contributors: Patrick Heraughty, Frank Taffee (Ballintogher), Fr. Eoin O'Coluim (Annagray and Tory Island), Sean O'Haughey, Jim Boland (Kilcummin), Fr. Mac Hale (Killala), Etienne Ryan (UCG), Thomas Fraser (Killinagh), Paddy Corrigan (Borroe).